Специальное предложение : 9.09 руб./шт. Количество: шт. (s)	Общая стоимость : 1,818 руб. 2. 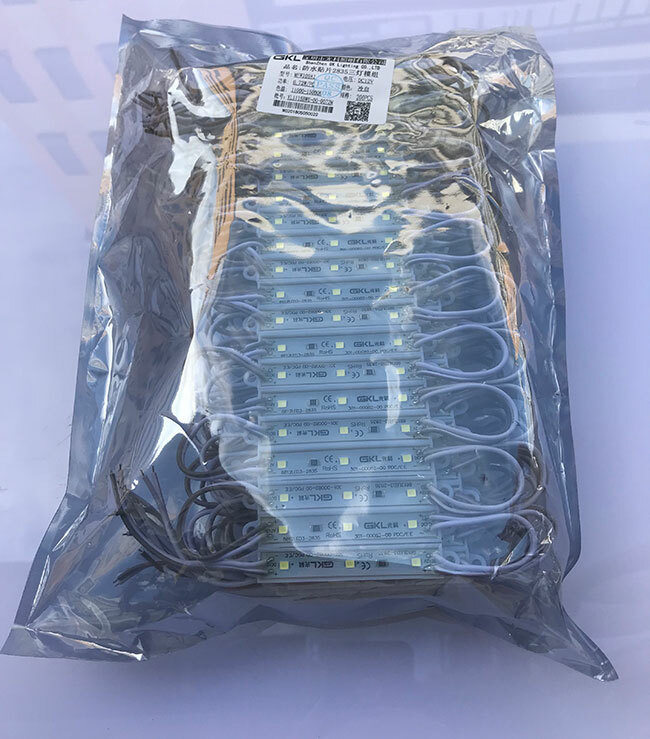 This waterproof LED module strings. 3. 3-7/8 inch wires between each modules. 4. 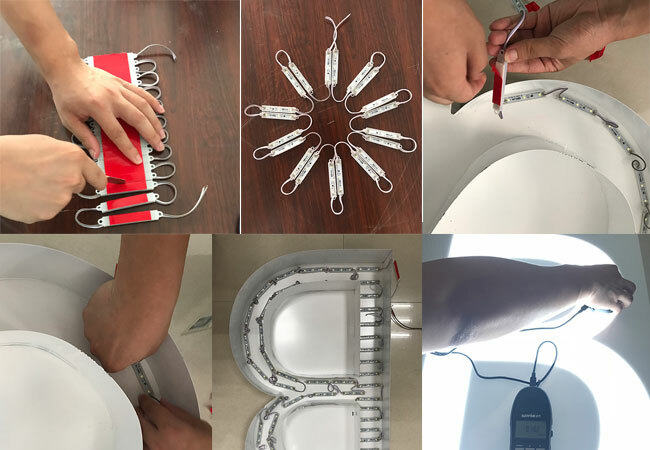 Each module has 3 wide viewing angle 120 degree high power 2835 SMD LEDs. 5. Injection molding ABS shell has 2 mounting screw hole and included double sided adhesive foam tape.